Think of it as a £379 slice of heavenly pizza? Find your long lost lover, friend, family member or at this price, anyone you can stand to share a room with for three nights. Virgin Atlantic is serving New York City up on a platter for winter and spring travel. The deals include flights (which earn points) and three nights of hotel in Manhattan. Not even somewhere sketchy like the Bronx! It wasn’t long ago that £379 was considered a total bargain for flights alone, so locking in your flights and hotels s for the same price is absolutely outstanding. And yes, you really get a checked bag, free seat assignment, drinks and meals on board and all that good stuff. There’s even afternoon tea on afternoon flights. The Virgin “Travel Plus” site makes it super easy to find the best dates. In fact, if you click this link, it will take you directly to the lowest priced dates. In general, the best deals to New York are for travel in January and February. It’s worth noting that other months will be available at similar shockingly low deals. Simple. Hit up this link which takes you to Virgin Atlantic. The booking engine will suggest a date where the lowest prices can be found, which come to a grand total of about £750. That’s for two people for flights and three nights of hotels in the big apple. Now all you need is go pay for pizza. And maybe taxis, and maybe a few drinks. You get the point. 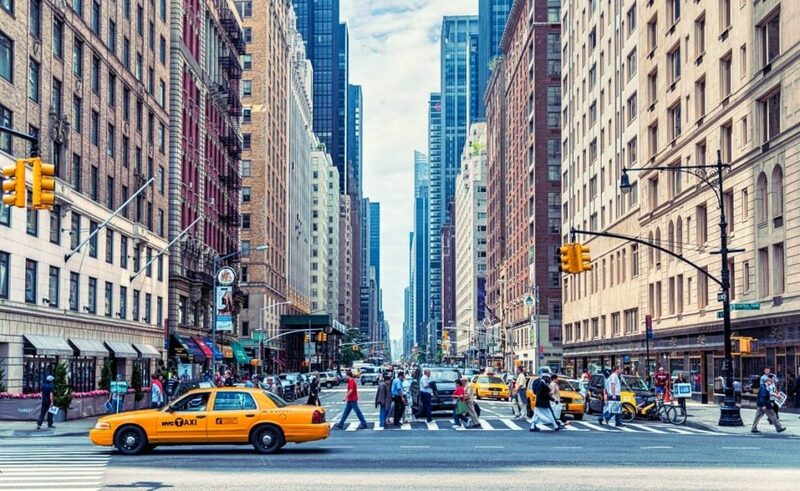 These are the lowest prices we’ve seen all year to New York for flight and hotel, with the previous low set at £399 per person.